The Custom Report in Time IQ will allow you to pull very broad or very detailed reports if you need more information to accurately bill your customers. 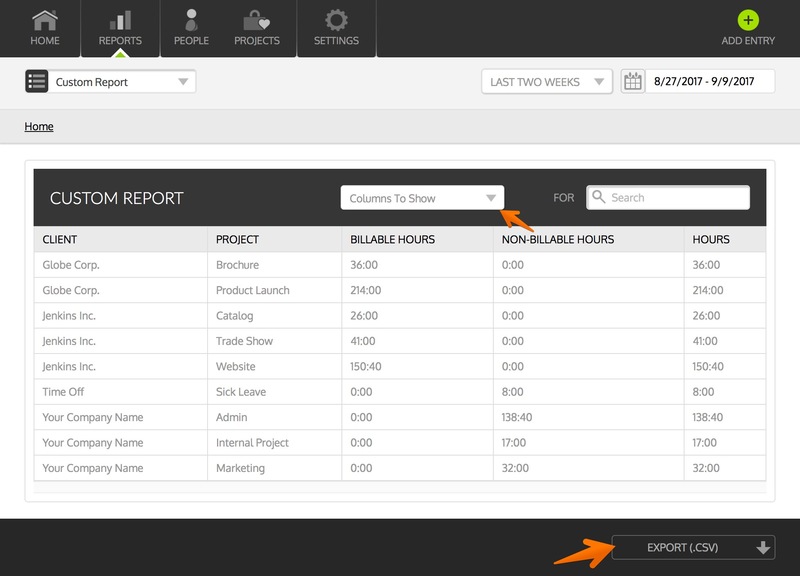 You can select as few or as many reporting columns as you like, and our reporting backend will do the rest. All reports will include the number of Billable Hours, Non-Billable Hours, and an overall total for each item.